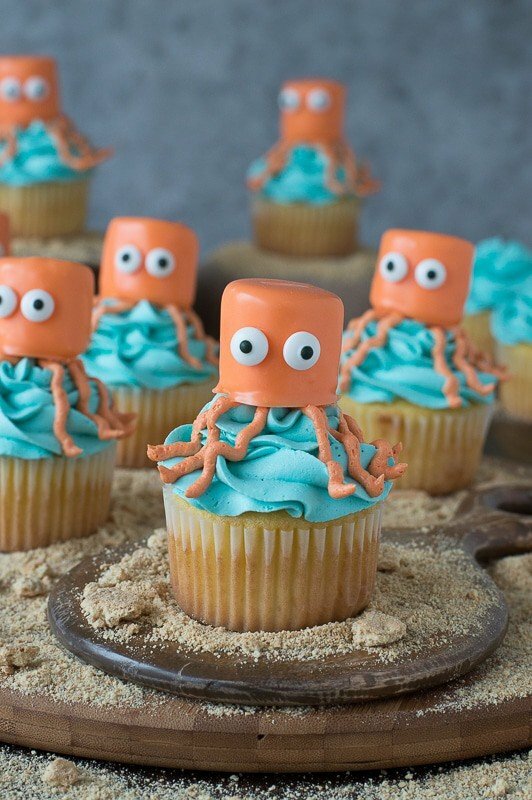 Octopus Cupcakes – These super cute googly eyed cupcakes are perfect for an under the sea party! Everyone is bound to love them! I am a sucker for theme parties. 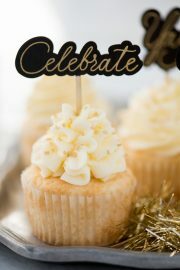 I love browsing through pictures of parties on Hostess with the Mostess, I find inspiration in all of their cute ideas. 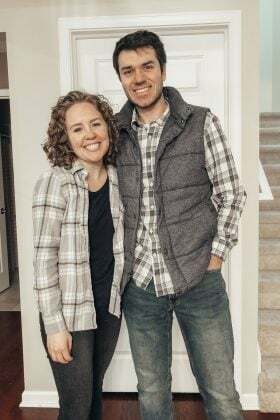 But looking at the themed parties they share on their blog also make me think.. “That kid had a nicer 4th birthday party than my wedding!” It’s a little ridiculous. Everyone seems to throw themed parties now. And when Ryan and I have kids, I’m sure I’ll fall into the trap of wanting to put on these nice, pinterest-y styled parties. Except our kids will have to pick – do you want a ridiculously cute themed birthday party or do you want presents? And no kid I’ve ever met has declined presents. It certainly helps cut down on some of the cost of creating a themed birthday party if your a little crafty. And that is 100% my sister Katie. My creativity begins and ends with food, which is still a talent I suppose, but Katie is a craft genius. I’m sure you know a craft genius. It’s like they have this magic ability to take paper and some paint, and turn it into something you think you’d only see in a movie set. Katie and I would make a good team. While I’m getting the octopus cupcakes ready, she’d already have gigantic octopi hanging from the ceiling and an under the sea mural painted on the wall. I foresee a new family business in our future :) These octopus cupcakes were actually so fun to make! 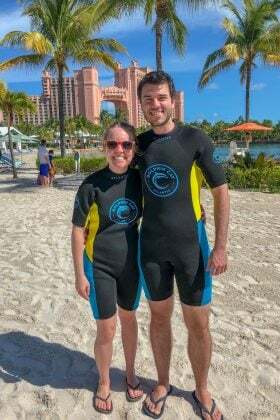 If you’re planning an under the sea or ocean party, you’re in luck! 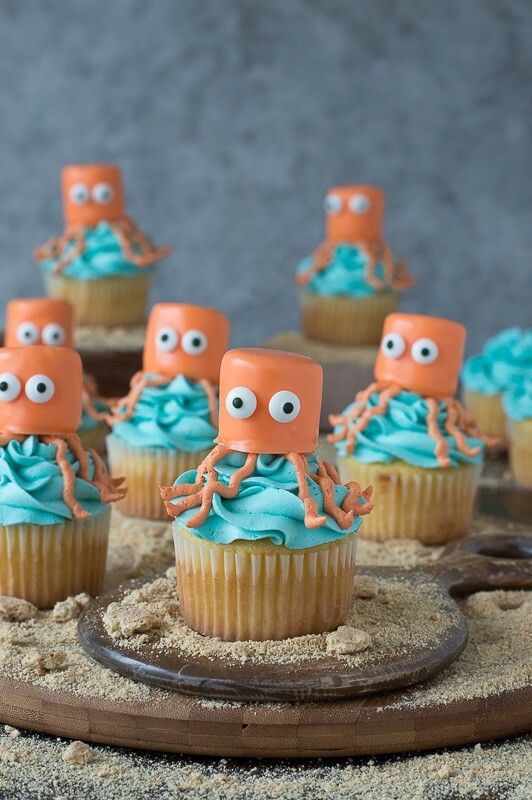 This week we’ll be sharing three cute under the sea themed party recipes! All of our recipes are things you can recreate at home. No need to pay big bucks for cute themed treats when you can learn how to make them yourself! In a mixing bowl combine the eggs, melted butter, vanilla, and sour cream until combined. 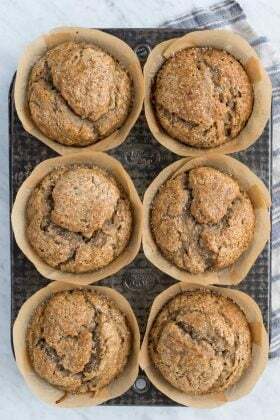 Divide the batter among a muffin pan lined with muffin liners, fill the muffin cups to be about a little more than 1/2 full. In a mixing bowl, combine the room temperature butter and shortening, beat using an electric mixer for 1-2 minutes, until light and fluffy. Divide the frosting into 2 bowls – about 2/3 of the frosting in one bowl to make the blue frosting and 1/3 in another bowl to make the orange frosting for the legs of the octopus. Dye each bowl the appropriate color using food coloring and mix both bowls combine they are well combined. Transfer a portion of the blue frosting to a large piping bag with a large piping tip (I used wilton 2D tip). Push or squeeze the frosting down, getting rid of any air pockets. Begin to pipe the frosting onto a cupcake, starting with the outside edge and working your way into the center of the cupcake, progressively stacking the frosting as you go around in circles. Refill the piping bag as needed. Transfer a portion of the orange frosting to a large piping with a small round piping tip. Push or squeeze the frosting down, getting rid of any air pockets. Begin to add octopus legs, 4 on each side. Once you have the legs drawn, add the octopus body on top. Melt half of the orange candy melts with about 1/2 tbsp of vegetable shortening in a small pot over the stove on low heat, stir occasionally. It make take the candy melts up to 10 minutes to melt completely, but keep the heat on low. Once the chocolate is melted, place one marshmallow in the pot at a time. Spoon chocolate over the marshmallow, making sure it gets completely covered. 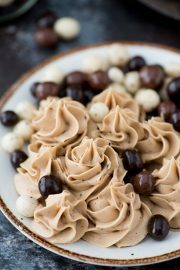 Remove the marshmallow with a fork, gently tap off any excess chocolate and place the dipped marshmallows on a silicone baking mat or wax paper to set. Once the chocolate is set, add two candy eyes to each octopus. Use the leftover orange candy melts as “glue” to attach the eyes to the marshmallows. To do this I simply used a toothpick to dab a small amount of chocolate onto the marshmallow, held the eye for a few seconds and then repeated with the other eye. Equipment used: [url href=”http://www.amazon.com/gp/product/B0000CFMLT/ref=as_li_qf_sp_asin_il_tl?ie=UTF8&camp=1789&creative=9325&creativeASIN=B0000CFMLT&linkCode=as2&tag=thfiye-20&linkId=SVPWV7YNLM33BLOL” target=”_blank”]piping bags[/url], [url href=”http://www.amazon.com/gp/product/B008VMATVO/ref=as_li_qf_sp_asin_il_tl?ie=UTF8&camp=1789&creative=9325&creativeASIN=B008VMATVO&linkCode=as2&tag=thfiye-20&linkId=LPLLGRSBQYZCG3RB” target=”_blank”]piping tips[/url], [url href=”http://www.amazon.com/gp/product/B005BPU1P8/ref=as_li_qf_sp_asin_il_tl?ie=UTF8&camp=1789&creative=9325&creativeASIN=B005BPU1P8&linkCode=as2&tag=thfiye-20&linkId=6H5UNA6T6LP5GJAE” target=”_blank”]candy eye balls[/url], [url href=”http://www.amazon.com/gp/product/B0061TXUJC/ref=as_li_qf_sp_asin_il_tl?ie=UTF8&camp=1789&creative=9325&creativeASIN=B0061TXUJC&linkCode=as2&tag=thfiye-20&linkId=LG245UO43ZCHK232″ target=”_blank”]orange candy melts[/url]. 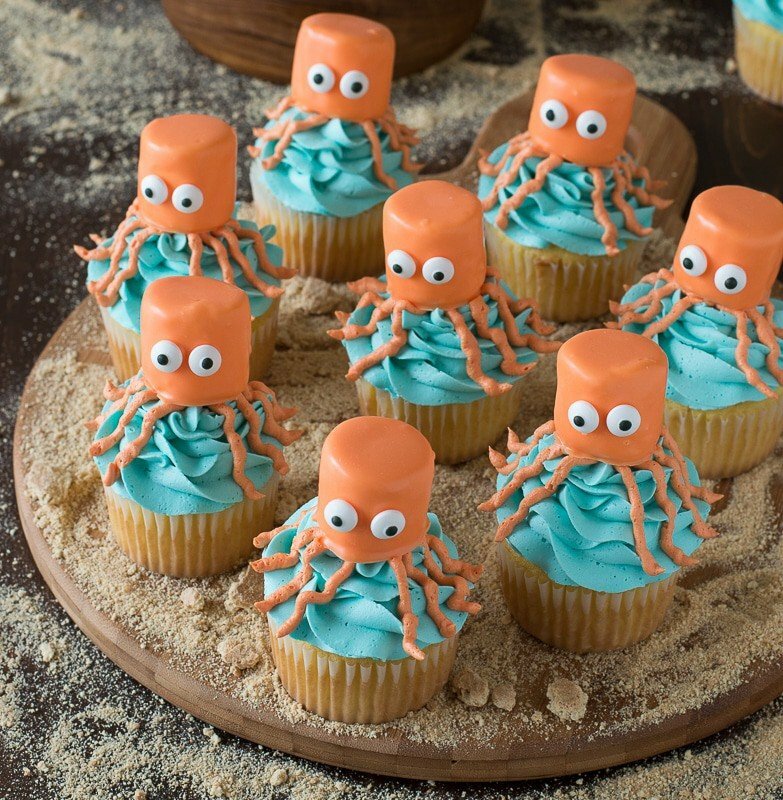 Come back tomorrow for more under the sea ideas like these Octopus Cupakes! These are SO CUTE! Such a fun idea. Seriously… LOVE them! Beth, these are the absolute cutest cupcakes I’ve ever seen! 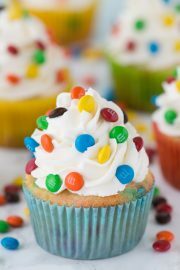 Great birthday party cupcake…my little Charlie’s birthday is coming and I’m thinking these will be perfect. Can’t wait to see the rest of your posts this week! Oh my gosh these are adorable!!!! 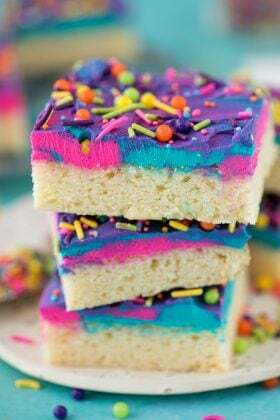 I wish I had a reason to bake them right now! These cupcakes are adorable, Beth! I seriously just love your creativity! These cupcakes are so cute! If I have kids they will not be happy with my lack of crafty dessert…haha. I can make cookies so I guess that is something. 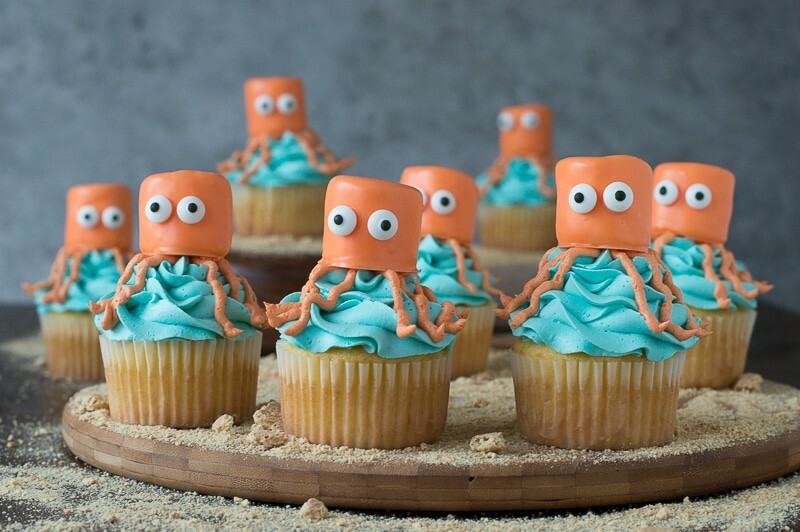 LOVE the look of these little octopus cupcakes. haha… these are seriously so adorable Beth! They got me thinking about the pirate party you had.. maybe I should do a pirate theme! How cute are these?! I love them, Beth!! I can only imagine that actually hosting a themed party would be really stressful! Your kids will be the luckiest and have the best party! Another adorable creation! Oh my gosh, there are too cute!! I would totally be one of those pinterest moms too when I have kids. I think I would get more of a kick out it than the kids. Ha! Oh wow!!! AWESOME!!! They are sooo cute. I think I will try this for my son’s second birthday. I love them! Thank you for this adorable idea.